Traditionally reliant on ads, beer turns to social media to get the message out. Both craft breweries and major beer brands are relying on social media influencers for millennial outreach. Bronx Brewery (beer pictured) solicits visitors to become "ambassadors" for the brand. As more millennials reach legal drinking age, brewers are targeting them through their mobile phones rather than traditional advertising platforms. They’ve found that the best messaging comes from partnerships with influencers across Instagram, Snapchat, Twitter, YouTube and other sites. Testimonials from social media influencers are often seen as more credible than traditional ads, while also appealing to the millennial penchant for digital information. “Attracting millennial consumers is a key part of our strategy, and in order to reach them, we need to meet them where they are—within arm’s reach of their mobile devices,” says Harry Lewis, vice president of marketing for Stella Artois at Anheuser-Busch InBev (A-B InBev). A-B InBev works with numerous influencers from around the country, and it’s able to establish “partnerships rooted in combining their points of view with our brand message to create content,” Lewis adds. Stella Artois’ recent “Buy a Lady a Drink” campaign, for example, included support from several fashion and lifestyle influencers on Instagram. Several years ago, Heineken USA was partnering offline with influencers from the fashion world and elsewhere. But as social media platforms have evolved, Heineken has shifted to teaming up with online influencers. Its current “Cities” campaign is supported with Instagram content posted by influencers from featured cities, such as Los Angeles jeweler Ben Baller. “Social influencers have become a cornerstone of our digital strategy,” says Heineken USA media director Betsy Paynter. “Twitter is great for content around events we sponsor, such as Coachella and the U.S. Open,” she says, while Instagram provides the photographic and artistic aspect. The brand is just starting to use Snapchat. Earlier this year, Paulaner USA, which imports Hacker-Pschorr beer from Germany, teamed up with digital satire site The Onion on a short video series aimed at attracting millennials. The “Give a Pschit” campaign ran on Facebook, YouTube and The Onion’s site, and was supported by posts from social influencers. "Influencers can be those key accounts and even distributor personnel who have a larger-than-life influence." 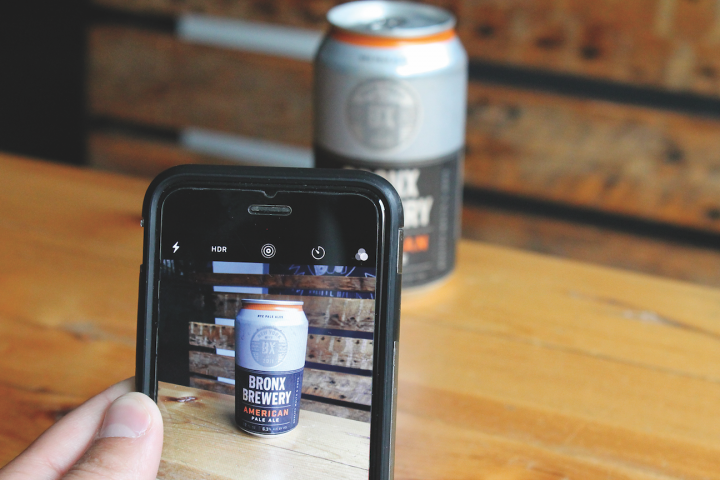 The Bronx Brewery’s use of social influencers, meanwhile, takes a more grassroots approach. The craft brewer seeks influencers for “ambassador building” among visitors to the brewery, as well as through social media tools, notes vice president of marketing Patrick Libonate. “Sometimes we’ll find influencers because they’ve tagged us or one of our beers in a post,” Libonate says. “We’ll check out their profile, and maybe see that they have 5,000 followers. We’ll repost, reach out and ask them to keep giving us love.” The benefit works both ways: A repost from Bronx Brewery—which has more than 15,000 Instagram followers—can be huge for an influencer, Libonate adds. Bronx Brewery doesn’t pay its influencers, although they do receive brewery swag. “Word of mouth is the reason people are receptive to influencers in the first place,” Libonate explains. “Once you pay an influencer, you dilute the integrity of the message.” Heineken USA works with Twitter and its Niche division to increase and measure engagement of its social influencer campaigns and to help source talent. Payment to influencers comes from Twitter and Niche, Paynter notes. Paulaner USA president and CEO Stephen Hauser and Libonate believe that in some cases marketers need to look no further for influencers than their own customers. For a small company like Paulaner USA, “influencers can be those key accounts and even distributor personnel who have a larger-than-life influence,” Hauser says.